We've updated the sign up hero that anonymous users see on all question pages. It is now a more subtle bar at the bottom of the window. There was a bunch of on point criticism of the prior version as being too big, too annoying and obscuring the most important content. (See here). In an attempt to move quickly and make improvements (inline sign up) we pushed this huge sign up hero for our anonymous users. We did it first on the home page, where I think the design is appropriate. As we shifted to updating the hero for the Question page, we got focused on a technical challenge. 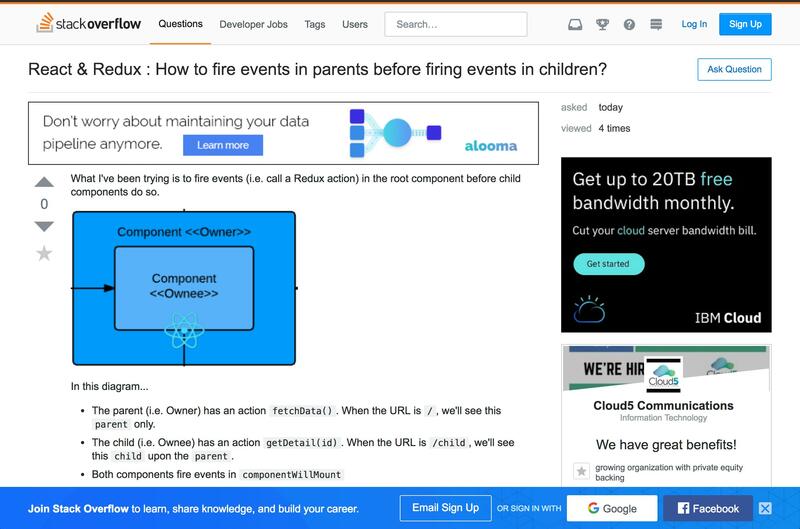 We needed to make it light weight enough that it wouldn't hurt performance on the question page which accounts for the vast majority of our page views. As the focus shifted to this challenge, I never really asked, "Is this a good idea? Is the right design for this experience?" Once the performance problem was solved, we ran an A/B experiment it and I got excited by the huge gains that the new hero showed (~60% gains) So, we pushed it live. Those huge gains didn't hold up, but they were still significant (low double digits). However, it became clear that these weren't necessarily "good" sign ups. We weren't seeing the right level of engagement post sign-up. This data along with this community feedback was enough to make us reconsider the approach and make the above change. 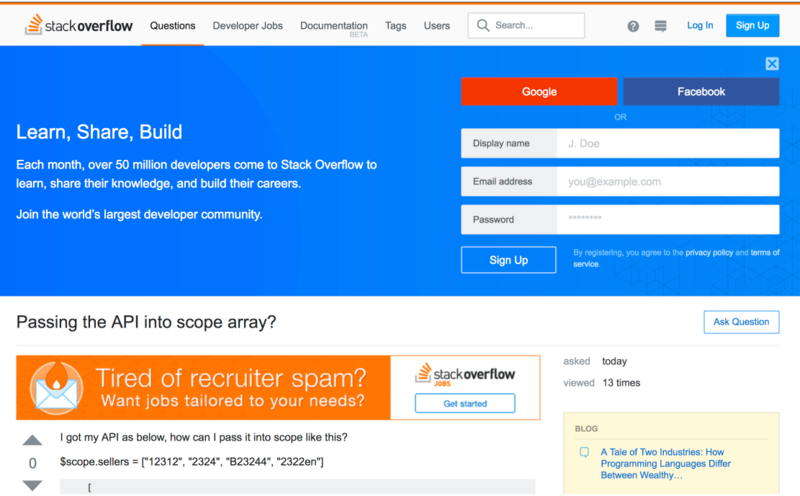 Seeing a giant banner at the top of Stack Overflow while I had the displeasure of being signed out at work (for legitimate reasons) was probably one of the most frustrating things I've seen. I'm extremely happy that this change has been taken on board. That said, I do hope that this also means that the amount of "good" sign-ups increases substantially. Thus partially hiding some of the footer elements and links. I can see the banner is some kind of an overlay, though clicking [x] resolves it. I hope the same change might get implemented(in the near future) for the SO Homepage's banner. It is nice to see a clean page rather than a giant blocking me screen. The footer could be made transparent to see the footer or more fluid and stays on one part of the screen. Also, the Stack Exchange login could also be enabled. Not the answer you're looking for? Browse other questions tagged discussion announcement . Contention: should points be completely eliminated on SO?